What Does It Mean That My W-2 Indicates I Didn't Pay Any Federal Taxes While in the Military? 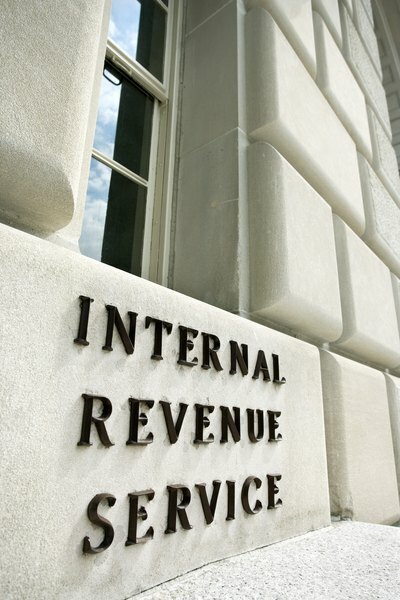 You may owe more taxes if you fill out your W-4 so not enough federal income tax is withheld. 1. What to Do When the IRS Changes Your Tax Return Check Amount? 2. What Does It Mean When My Paycheck Says That I'm Exempt From Federal Taxes? 3. What Is the Federal Income Tax Table? When you enlist in the military, you are asked to fill out a W-4 form for the finance office. Your marital status, number of children and the state you reside in will determine the amount of federal income taxes withheld from your Leave and Earning Statement. When you receive your W-2 at the beginning of the year, details from what you listed on your W-4 may be reflected. Serving in the military does not exempt you from paying federal income tax. However there are circumstances in which you are not required to pay federal taxes. One reason why no federal taxes were taken from your W2 is due to the details you listed on your W-4. Line 7 of your W-4 form allows you to file exempt by writing “EXEMPT” in the space provided. If you chose to file exempt, no federal income tax will be taken out of your Leave and Earning Statement. Many people who file exempt are expecting their earnings will be below the amount that requires taxation. Other taxpayers file exempt if they may be claimed on someone else's tax return as a dependent. If you have filed exempt in error, contact your finance office on base to fill out another W-4 form. You can change your W-4 as often as needed. When filling out your W-4 form you also have the option of claiming a certain number of allowances. For example, filing head of household equals one allowance. If you select zero allowances, more taxes will be withheld. The higher the number of allowances you claim, the lower the federal tax withholding. Review your W-4 to determine if you selected such a high number of allowances that no federal taxes are being withheld. Your Leave and Earning Statement also indicates the number of allowances you listed on your W-4. Military members who serve in a combat zone are, in most cases, exempt from federal withholdings. Combat zone pay is listed on box 12, code Q of your W-2 form. Some military personnel may also choose to change their W-4 by filing exempt while serving in combat zones. Military families may also choose to wait until they file their tax returns before listing combat zone income. Examples of combat zone areas as of 2012 were Afghanistan and Kosovo. During your pre-deployment briefings you will be notified whether you are going to a combat zone. The IRS provides extensions for filing income taxes and other deadlines up to 180 days to lessen the stress of those serving in combat zones. Refer to your previous-year income tax returns to ensure your federal withholding is accurate. Also, you can refer to any of your previous W-2 forms issued at the beginning of the year to determine if federal income tax was withheld. You may need to file an amended tax return by filing a 1040X, which will allow you to adjust and make corrections to your tax return if you noticed the problem after the fact. Seek assistance from a certified public accountant to ensure you are correctly handling any issues with your federal withholding. If you determine that you owe the IRS due to not paying federal taxes, you can contact the IRS directly for payment plans and settlement options.